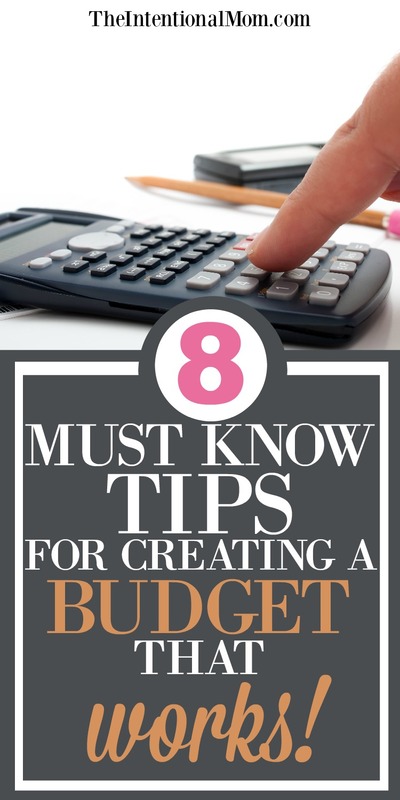 8 Must Know Tips For Creating a Budget That Works! Creating a budget is a necessary part of maintaining a frugal lifestyle, but it doesn’t have to be complicated. However, a budget does need to be accurate. Without an accurate budget, your budget simple won’t work. Before you get scared off by the word “budget,” it is important to just think of a budget this way: a budget is an accounting of your money coming in and your money going out. I made creating an accurate budget super simple for you. Just enter your email below to have my 3 page budget template delivered right to your inbox! Enter your email below to grab your complimentary budget template and subscribe to get some other cool stuff too. Success! Your download will be on its way shortly. Check your email in 10 minutes and you'll find it! As you sit down to fill in your budget, here are 8 things you must keep in mind. In order for your budget to actually work, this is an essential place to start. Even if it is difficult to look at where your money is going on paper, it is a key ingredient to having an accurate budget that works. Most likely you have things that only happen certain times a year like insurance premiums, taxes, and annual physicals. These types of things are part of being thorough. I find it is easier to take these once in a while expenses and break them down into monthly payments, even if I’m only setting that money aside in an envelope for later. I do love using the envelope system. You will probably find that adjustments need to be made fairly regularly, especially in the beginning. Just like most things, life demand that even our budget must be fluid as expenses come and go. I find that the larger our family gets, the more fluid things like our budget must become as well. If you have a spouse, the budget is something that you must both be in agreement with from all angles if you are to succeed. I will address how to find a middle ground if one spouse is a saver while another is a spender, but for our purposes here, the budget must be agreeable to both parties. Project the expenses you know will come up. Do you have kids who have sports fees due next season, will someone in your family need new glasses, or will an end of the year bonus be coming in? Planning ahead in your budget will create a more accurate assessment of what money is coming and going. Vet bills, oil changes, new tires, and birthday celebrations should all be figured in here. This is separate from your emergency fund. 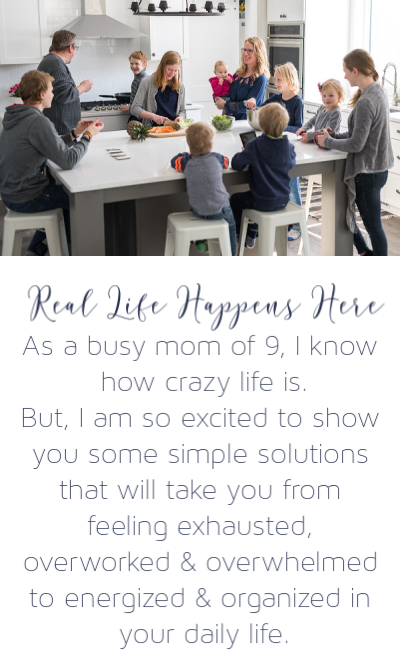 This is a smaller sum of money that will help cover those little things like a teacher gift, a new pair of boots when one goes missing, or a haircut to fix up the mess that your son created with some scissors in his sister’s hair. These things and more will be well served by having a “what if” fund in place. As tempting as it may be to jump completely off the wagon if you head a bit off course, resist the temptation to throw all caution to the wind for a time. When you see that you’ve gotten off track, get back on just as quickly as you can. A couple of missteps can open the door to some giant mistakes that you will regret later on if you are not careful. If creating a budget seems overwhelming, using these eight tips will help take the mystery out of it a bit while also setting you up for success. If you are looking to live a more frugal lifestyle, to add a bit more to your savings, or to purchase a larger item, having an accurate budget will be a great help to bringing these goals to fruition. Ready to really get serious about your budget and live a life you love? 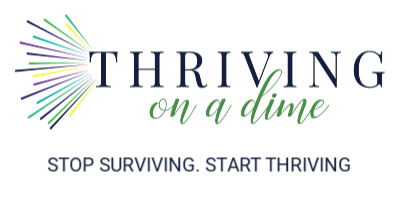 Start your free month in my money saving community, Thriving on a Dime, where I will walk you thru my 10 step budget process in that first month. « The Trick You Need to Know to Buy Chicken on the Cheap!